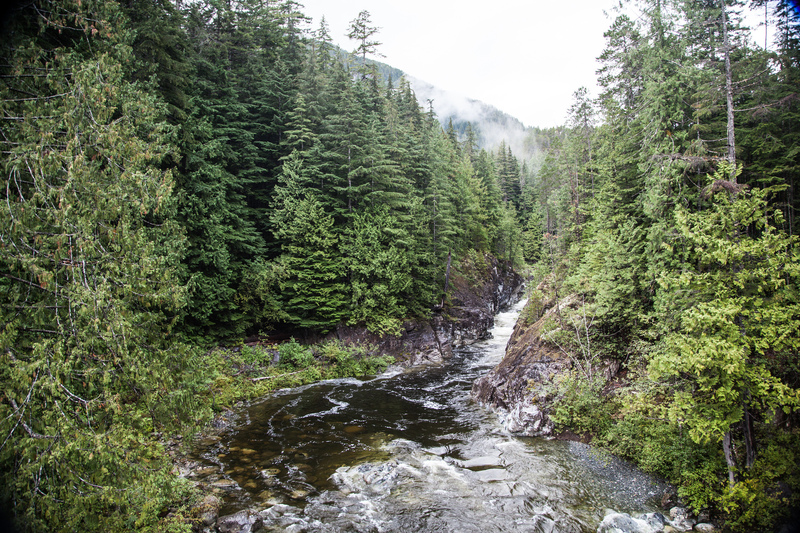 We are back from lovely Vancouver Island and are very happy to report on this amazing trip. 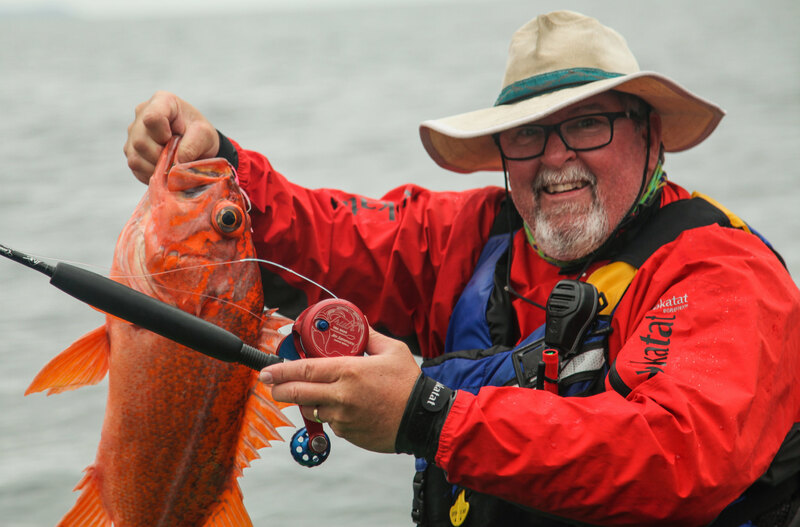 The folks from Nootka Marine Adventures along with BC tourism did an amazing job at welcoming us, making us feel right at home and most importantly, putting us on some amazing fish. We arrived late at night to a sky full of rain. When we rallied early the next morning there was a rare offshore calm begging us to add some excitement. 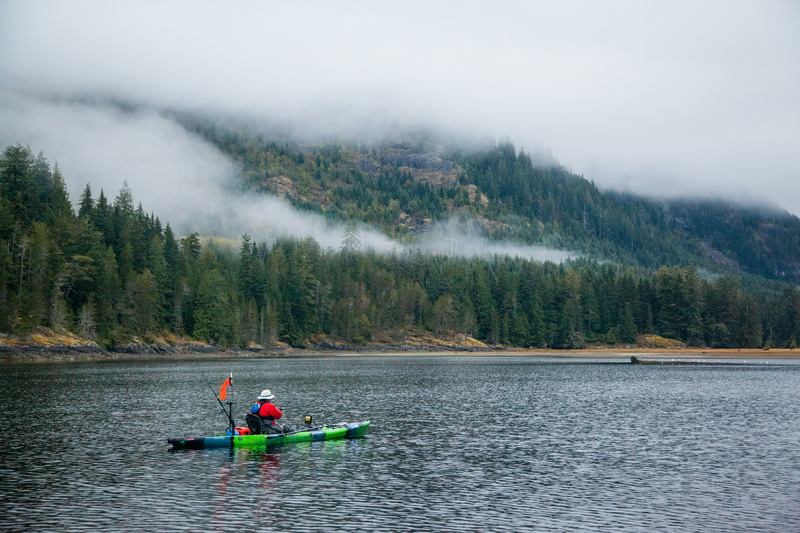 The calm gave our kayaks a chance to drop in on some halibut and ling cod. We hooked a few ling and rock fish, but only landed the halibut which was hauled in on the support boat…but hey…at least we got to eat it! Next we took part in the Moutcha Bay Annual Kayak Tournament. What a fantastic event! 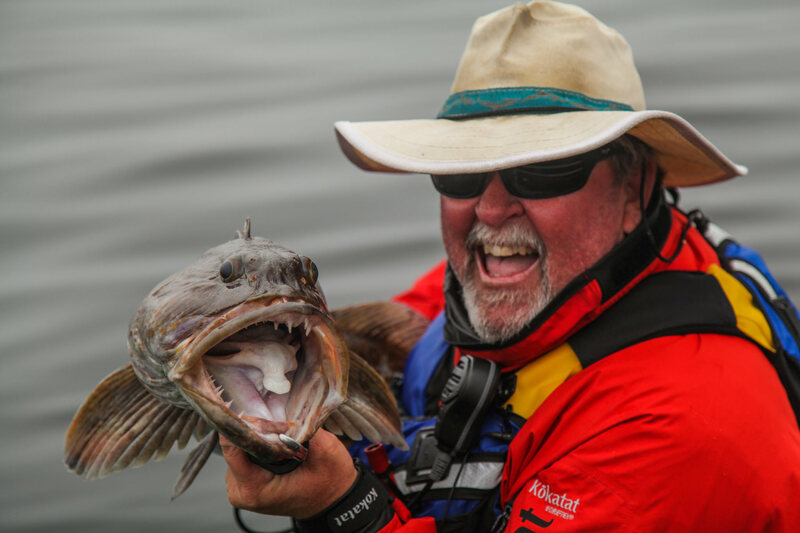 Myself and the crew were blown away by the remarkable attendance and the love the local anglers have for kayak fishing. 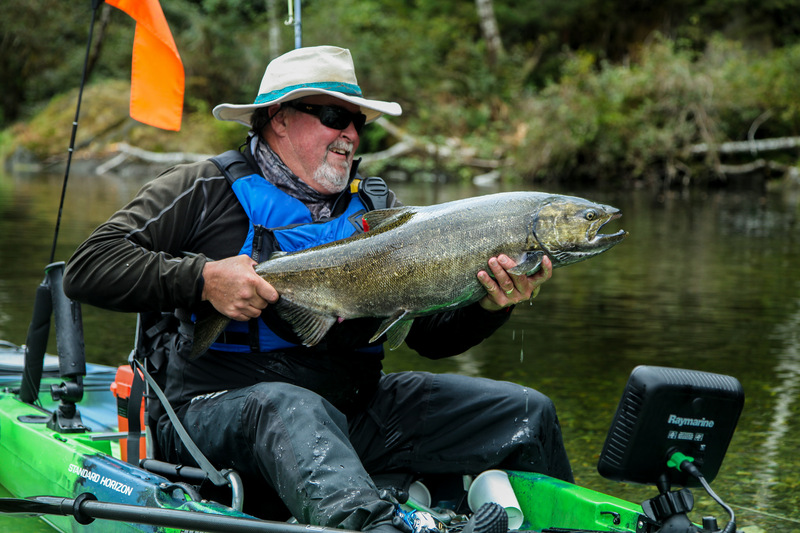 We had a wonderful few days after the tournament fishing the iconic, wild, BC rivers for salmon that had begun their move. Massive schools made shooting a breeze and we were able to catch and release about twenty gorgeous fish on film. To close out our trip, we had one more day offshore. I managed to catch the elusive yellow eye rockfish that I have been hunting for and our friend, Kalani, hooked his first big ling. 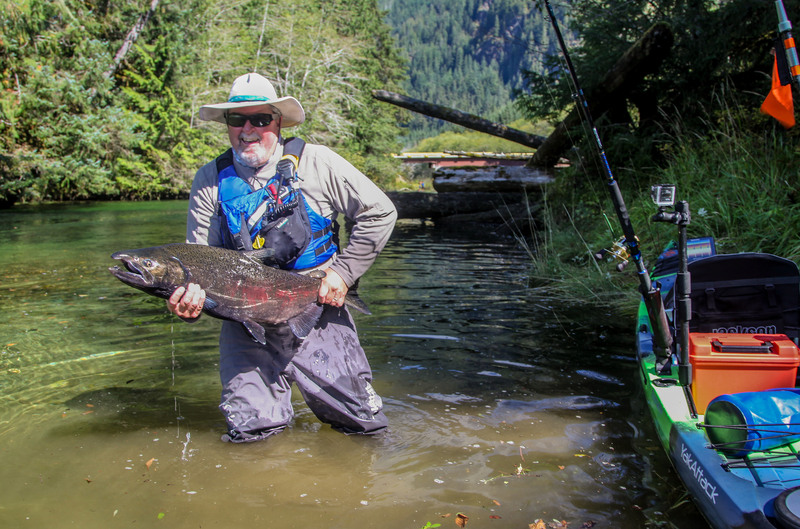 With a fishery of world class proportions and the legendary scenery of ‘Beautiful British Columbia’, we are already planning our trip back!